Golden Triangle Train Tours - Offering delhi agra jaipur luxury train vacations tour, golden triangle travel tours itineraries northern india, 6 days golden triangle train package tours. 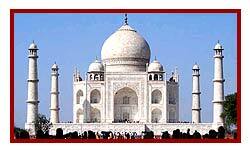 This 6 Days golden triangle luxury train tours is bestway to explore delhi agra jaipur. Each and every city is very well connected with luxury trains and takes almost 4 -5 hours to reach from one destinations to another. Luxury A/C chair car trains ( Shatabdi, Dounble Decker, Taj Express etc. ) runs both morning and evening from delhi. 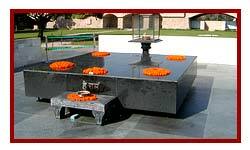 Tours start from Delhi and then to visit the other two destinations. One can alter this tour as delhi jaipur agra. These 3 cities are almost equidistance from each other. Lots of luxury trains are scheduled for this golden triangle circuit. Foreign tourist quota is fixed in each trains for convenience to foreigner. This circuit offers fascinating cultural and heritage sights. This tour can be customized as well according to requirement and time scheduled. This one circuit is full of world heritage sites. Upon arrival from your country tour representative will await for you on IGI airport in Delhi & will guide you to your already booked hotel as mentioned in final tour itinerary. Relax in hotel from long journey. Overnight stay will be at delhi hotel. After early breakfast in hotel. take full day guided sightseeing tours of combined Old & New Delhi. Visiting Jama Masjid, the Red Fort, Chandni Chowk, for rickshaw ride in narrow allys, Mahatma Gandhi Memorial, - Raj Ghat, Jantar Mantar, Laxmi Narayan Temple, India Gate, Akshardham Temple ( Approximately 4 -5 hours required to completely explore this newly constructed temple ), Qutub Minar and the House of Parliament. In evening visit Delhi Haat to see handicraft items. Overnight stay at Hotel. Early morning transfer to railway station to catch luxury shatabdi trains for Jaipur breakfast will be available in train. On arrival check in at hotel. Afternoon free for shopping and leisure activities. In evening dinner will be organized in good restaurant. Overnight stay will be Jaipur. Morning visit Amber Fort on elephant back. Amber Fort was the ancient capital of the State. Visit the Sheesh Mahal or the Hall of Victory glittering with mirrors. Evening you may explore the Local Colourful markets of Jaipur by own. Visit Maharaja's City Palace, the Observatory - jantar Mantar, & Ram Niwas Gardens. Drive past Hawa Mahal ( Palace Of Winds ) & through the pink rose residential & business areas. 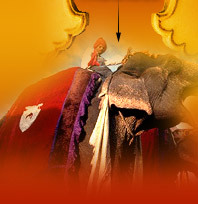 spend evening at Choki Dhani a ethnic village famous for cultural activities and skill games, rides and rajasthan food. Overnight stay at Jaipur. After an early breakfast transfer to railway station to catch train for Agra. Upon arrival to agra check-in at pre booked hotel. Relax in hotel for some time & then after lunch drive to historical city 40 Kms. far away from Agra known as Fatehpur Sikri. In afternoon explore famous sights of fatehpur sikri. After that drive back to Agra & explore the graceful buildings including the Jama Masjid, Tomb of Salim Chisti, Panch Mahal and other Palaces. Visit the Taj mahal during sunset and take some stunning photograph. Overnight stay at Agra. Early Morning visit the world famous beautiful Taj Mahal during sunrise, beauty is totally different both during sunset and sunrise. The taj mahal is built by the Moghul Emperor Shahjehan in 1630 for his beloved Queen Mumtaz Mahal to enshrine her mortal remains. Taj Mahl was built in 20 years and over 20,000 worker had worked in constructing it. Later visit the Agra Fort containing the Pearl Mosque, the Halls of Public and Private Audience. Also visit the Tomb of Itmad-ud-Daullah built by Empress Noorjehan in memory of her father. Afternoon take a luxury train for Delhi, tour guide will directly transfer you from railway station to international airport to board flight for onward journey / Home with sweet memories of heritage cities its culture, tradition, food, handicraft item, shopping, hospitality, elephant ride, massive fort and palaces of north india golden triangle delhi agra & jaipur by luxury train.